We all know the story of Thanksgiving as it relates to the Pilgrims and the Indians, but that was just one meal. Would you like to know where the idea for making Thanksgiving a national holiday came from? You would? GOOD! 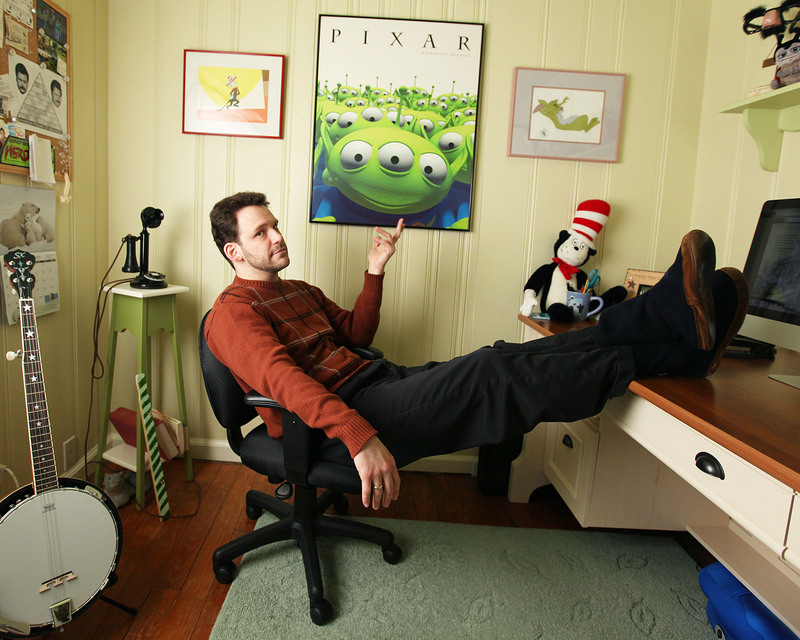 Because today I’m happy to introduce you to friendly author Mike Allegra, and his wonderful picture book that answers that question. 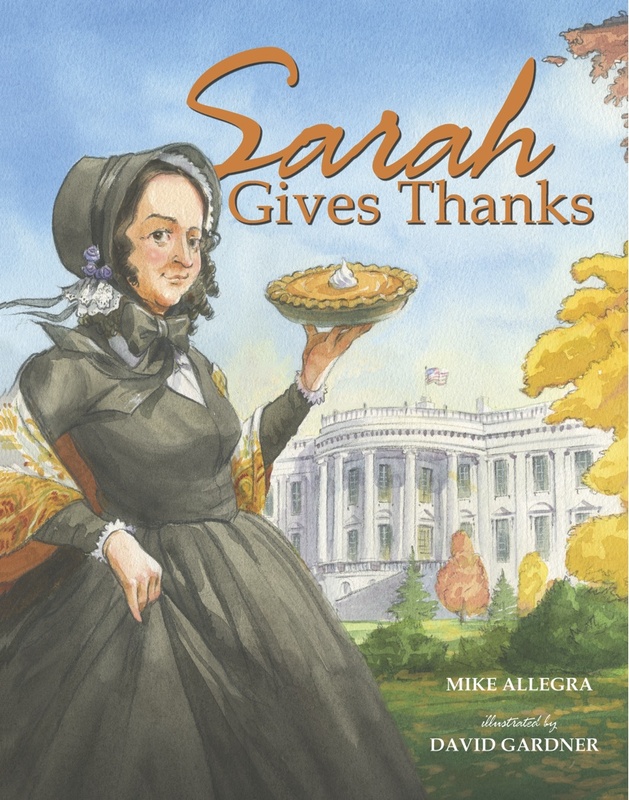 SARAH GIVES THANKS is the story of Sarah Josephine Hale, a trailblazing writer and magazine editor, who felt that every American should celebrate Thanksgiving. Starting with President Zachary Taylor in 1849, she wrote to the president (whomever it was) every year asking for Thanksgiving to be made a national holiday. Finally, it was President Abraham Lincoln who granted her request. It took her thirty-six years to get the response she was looking for, but she never gave up. That’s some serious perseverance. However, from the very first pages of the book, where illustrator David Gardner beautifully shows Sarah giving thanks even though she has just buried her husband, you know that this woman is not the type to give up easily. I had never heard of Sarah Josephine Hale or of her role in Thanksgiving before reading SARAH GIVES THANKS. She was a groundbreaking feminist in so many ways, and I’m happy to have had this opportunity to learn about her and her life’s work. This is the best kind of non-fiction picture book, one that reads as a narrative, is gorgeously illustrated, and can speak to both adults and children. Nancy: How long was the time from your first inkling of the idea for SARAH GIVES THANKS until you were holding the actual book? Mike: A long, long time, actually. I began writing Sarah’s story in September 2009. I was asked for a rewrite in February 2010, which I completed that April, I think. The book was accepted in late summer with plans for a fall 2011 pub date. But then my editor left Albert Whitman and Company and the illustrator backed out. So the project was delayed a year – which turned out to be a huge blessing because my next editor, Kristen Ostby, was all kinds of patient and wonderful. Also SARAH GIVES THANKS’ new illustrator, David Gardner, is as nice as he is talented – which is to say, very. Nancy: I once heard Henry Winkler say that when he his work in print for the first time, he “rubbed the book all over himself.” Did you have a similar, or any other, over-the-top reaction? Mike: Tsk tsk. That was very un-Fonz-like of him. 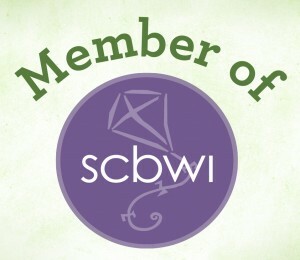 I used up almost all of my over-the-top joy and giddiness when I first heard that my book was accepted. By the time SARAH GIVES THANKS was printed – about two years later – my primary emotion was relief. I just remember hearing the words, “I did it,” over and over in my head. There was no exclamation point at the end of that statement, either. My “I did it,” was an exhausted, non-demonstrative declarative sentence. Now, don’t get me wrong. I was happy, very happy, but my happiness was so low key, my family didn’t know what to think of me. I think my reaction disappointed them a little. (Nancy: I wonder if that’s how Sarah felt when Lincoln finally said ‘yes’, after 36 years…). Nancy: How much research did you need to do on Sarah Hale? Did you get any good trips out of it? Mike: Hm. Would you call a trip to Philadelphia “good?” I spent most of my time in The City of Brotherly Love in an archive huddled over 160-year-old magazines taking notes until my fingers cramped up into a monkey’s paw. When I wasn’t taking notes, I was getting yelled at by officious old ladies who caught me taking notes with a pen – which, I’m told, is a very bad thing to do. I suppose archivists live in constant fear of vandals doodling on historic manuscripts in ink. So I was issued a sharpened pencil and told to behave myself. I did a lot of research, partly for the book and partly because I found Sarah Josepha Hale’s life story to be so fascinating. Not only did Sarah lead the effort to turn Thanksgiving into a national holiday, but she also was a celebrated author and editor. In fact, the magazine she helmed, Lady’s Book, was the most widely read periodical in America. She wrote the very first anti-slavery novel (about 25-years before Uncle Tom’s Cabin). She was a huge proponent of education for women. She led charities, raised funds for historic landmarks, and increased public awareness on a whole host of social issues. And she did it all while raising five children by herself (her husband had died of pneumonia years before). In short, Sarah Josepha Hale is amazing. It was hard for me not to get a little geeked out. Nancy: The illustrations in SARAH GIVES THANKS are wonderful. How much interaction did you have with illustrator David Gardner during the process? Mike: They are wonderful, aren’t they? David and I weren’t in direct contact during the process. In fact, there were three degrees of separation. My only contact was with my editor, who relayed any comments I had about the illustrations to the art director, who then relayed them to David. This process makes sense when you think about it; the people at Albert Whitman were taking all the financial risks with SARAH so they need to be in control of the communication process. After the book was done, however, David and I quickly got in touch. Even though we live on opposite ends of the country, he and I chat regularly. I’m proud to call him a friend. Nancy: What are the top five things you are thankful for in your life? Nancy: And most importantly…What is your favorite kind of pie? Mike: Believe it or not, it’s pumpkin. Nancy: I think Sarah would approve. Thanks, Mike, for sharing your insights on the process of creating a picture book, and for sharing this important story and amazing woman with all of us. I think SARAH GIVES THANKS would make an excellent addition to any elementary school classroom or library. To order, click here! 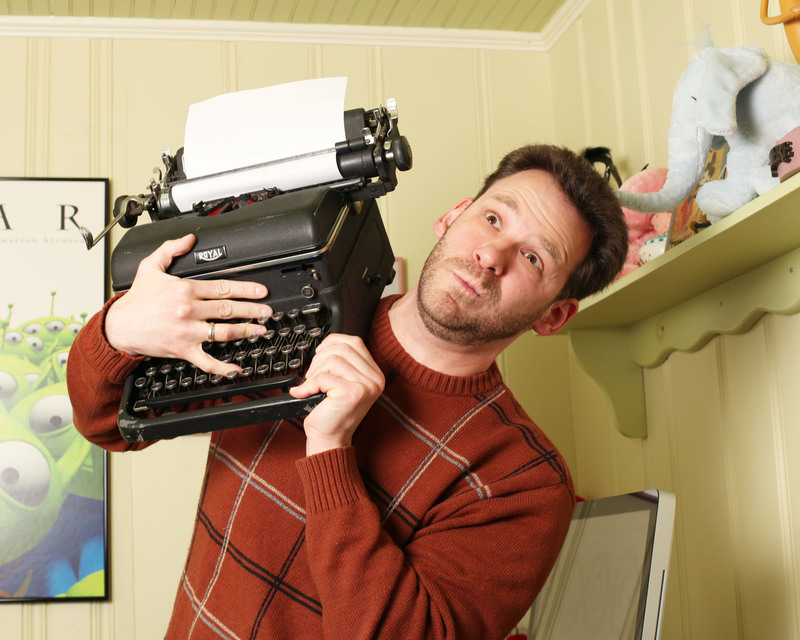 Look for more Mike Allegra on his blog: http://mikeallegra.com/ and Facebook page! Mike makes my November gratitude list under the heading “people who make me laugh,” and for that I’m very grateful. Nancy Tandon • This entry was posted in Author Interview, Picture Books and tagged Giving thanks, National Holidays, Sarah Josephine Hale, Thanksgiving. Bookmark the permalink. Thank you so much for having me over, my friend! The pleasure was mine. Great story. That first question is basically the same as one I asked you Mike in our interview! I’m not suggesting Nancy copied, hehe, just saying that it’s obviously something of interest! Yes, I think we all want to know…”just how many frogs do I have to Kiss” as they say!